Bio | Jason Augustine, Esq. Jason Augustine is one of Counsel Press' Senior Staff Counsel based in Philadelphia. Mr. Augustine also serves our Massachusetts area clients as well. 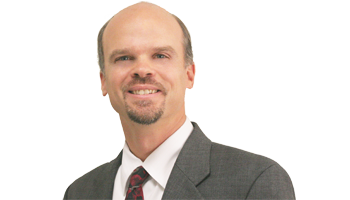 Mr. Augustine joined Counsel Press in 2004, after seven years in private practice. Since joining Counsel Press he has handled thousands of appeals and petitions in courts throughout the Northeastern United States. Mr. Augustine routinely handles complex filings in multiple courts, and in the past has assisted with filings relating to several high profile cases. In private practice, Mr. Augustine focused on business dissolutions, international business transactions, trusts & estates, and medical malpractice. His extensive background in business and litigation, coupled with his mastery of the appellate process, offers Counsel Press clients an expert eager to assist with all aspects of your next appeal. Rutgers - Camden School of Law, J.D. Electronic Filing in the Superior Court of Pennsylvania, Live in 2015!